Q: Thank you, Katharina and Alex, for your willingness to be interviewed about the Order of Interbeing (OI). We’re here during the 21-Day Retreat [in 2018], and both of you have just taken the Fourteen Mindfulness Trainings. What was your inspiration to be ordained as a OI member? Alex (Wake Up London): About two years ago on a 21-Day Retreat, I had the opportunity to meet and connect with many OI members and Dharma teachers and to see the strength of their practice, connection and community. I remember two white-haired Dharma teachers who were like two young brothers—two little kids always running after each other and consulting with each other about every little thing. For me, that was sweet and somehow natural but also missing from my life. I was a little hesitant at first to investigate and to receive the Fourteen Mindfulness Trainings because I had the perception that it would be extra work, and my practice of the Five Mindfulness Trainings was far from perfect. But I actually found liberation in the recitation ceremony of the Fourteen Mindfulness Trainings, particularly when I heard the Second Training: Non-Attachment to Views. I was like—wow—I can see this invitation to let go. I thought that my practice should be one way or another, and that the interpretation of the trainings should be one thing or another. It was an invitation to fluidity that opened a door for me. I thought that my practice should be one way or another… it was an invitation to fluidity that opened a door for me. When I got home, I found that a group of five of my friends had already started the process of studying the Fourteen Mindfulness Trainings. They had found mentors and had committed to a year of study and practice together. All I had to do was to write them an email and say, “Please let me join you.” I’m very grateful that it was positively received. Katharina (Wake Up München): Like many people who come to Plum Village, I felt at home right away and was so grateful that such a community of understanding, compassion and love exists. The most beautiful thing for me is to find that peace within and to feel the connection with nature. I am still fascinated by the wonder that happens when we share our suffering and joy, which is transformative. This wonder of compassion really transformed my anger with regard to social injustice and ecological problems into compassion, sadness and love. I was very happy with our practice here in Plum Village and with meditation groups at home. Somehow I didn’t feel a strong need to wear a brown jacket because I thought it’d be a danger to be caught in the form. For me, it doesn’t matter whether you wear a monastic robe, an OI robe or normal clothes. Sometimes normal people in the world who have never heard of meditation or Plum Village really live a life of mindfulness, compassion, peace and love. Maybe my aspiration to join the OI came when I was at a retreat in Chandolin, Switzerland, several years ago. Two women from the early OI / School of Youth for Social Service shared about their experiences in Vietnam during the war. One of them shared how a young woman kept joining the peace demonstrations. She had already been in prison and had been tortured, but she still participated in the demonstrations. She impressed me, and I felt it was a big honor to walk in the footsteps of these people who established Social Engaged Buddhism. They found the balance between caring for inner peace and engaging in the world in a calm and peaceful way, so I wanted to learn this and support this tradition. Q: How did the Order of Interbeing process unfold for both of you? It doesn’t matter whether you wear a monastic robe, an OI robe or normal clothes. Sometimes normal people in the world who have never heard of meditation or Plum Village really live a life of mindfulness, compassion, peace and love. Katharina: My process was similar to Alex’s. A group had already existed. Some of them were friends who planned to do this process together. They already had a mentor, so it was easy for me to join them. 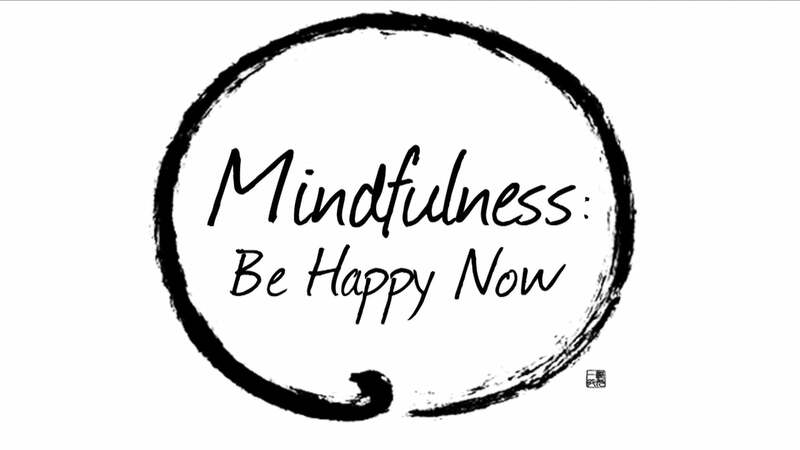 I liked the idea of getting more involved with the Fourteen Mindfulness Trainings with a nice group of people. We met for two years. People came from Austria and Germany, so we had to travel many hours to see each other. We met every three months for a weekend. It was like a small retreat each time. We shared about our experience with the different trainings, our difficulties, our insights and our aspirations. We also practiced facilitating the different Plum Village practices. The usual mentoring process is that it’s you and your mentor, but because we were a group, it was more like in Plum Village where we have sharings and get to know our perspectives, insights and issues. It was beautiful to walk on this path together. Alex: Yes, it was so important that we also did this as a group. Another thing we truly appreciated about the process was that it was organic. We had two mentors: Martin Pitt, a Dharma teacher, and Judy Lewis. They could not have been more accommodating of our process. We had the opportunity to see how much attachment we have to form, how much we want to do something in a particular way or achieve certain things. We had the opportunity to experience what happens when we let go too much of form and allow one of our meetings to become just eating vegan pizza. I think that freedom created a wonderful container of practice for us. A good example of this is that though we committed to a year of practice together, practically that year became two years. This also allowed us to make more time for weekend retreats together in our mutual homes of London, Norwich and Stroud. The other aspect I would add into this is that we had the opportunity to use the trainings in the time between the meetings: having a whole period of a month or more to practice a particular training. Before we met, we had the opportunity to integrate it into our practice and to use it as a lens to look on our lives, sometimes in explicit ways—sometimes in very subtle ways. Katharina: I would like to add that in our group, we had an experienced OI mentor, Annette Saager, and Aurelia Ellett as a second mentor. Aurelia is from Wake Up Freiburg and who had joined the Order of Interbeing in 2014. It was nice to have someone from Wake Up to support us in the process. We practiced facilitating Plum Village practices like sharing, touching the earth, sutra reading, reciting the trainings or doing the morning chant. Q: This gave us a lot of insight about how these two years of your OI aspirancy went for both of you. What would you like to put into practice? Alex: We had wonderful conditions to be able to come with our entire aspirant group—Nick Kenrick, Phil Bluckert, Kareem and Jasmine Ghandour and myself—to come and be in this retreat together, to be in the same family, to create spaces within the retreat just for us both formal and informal and then to receive the Fourteen Mindfulness Trainings Transmission together. I know for me and for others in the group that doing it together was part of what gave us the courage to be there, to receive and to feel like when the right conditions came together. I’m very grateful for that experience. In the ceremony, I received the Dharma name True Pure Treasure. At some level, I would have liked a name like “Flaming Sword of Wisdom That Cures All Suffering and Afflictions”—something focused on engagement in the world. However, I’ve been given a good practice name to work with. It’s true that I would benefit from treasuring myself more, from finding what is available in each moment that is precious and from cherishing and protecting the world and all the beings that we must treasure. I’m very grateful for that, too. If I have an aspiration, then it’s a collective as well as an individual one. I’m grateful for the time I’ve spent connecting deeply with these brothers and sisters; I know we can benefit greatly from continuing to water that connection. And deepening my connection as well with the mahasangha, the Plum Village Sangha and supporting others who are looking to experience and support Sangha in their lives. Katharina: I also felt that collective energy during the ordination process. I knew many people who were going to ordain, and it felt like ordaining with everyone from my home Sanghas and my dear friends together. My Dharma name is True Holding Beauty. I feel that the understanding of the Dharma name will always evolve. It feels like it’s connected to the Earth Holder and ecology. Right now, the “holding beauty” for me is to just be present and peaceful. It’s to practice for myself and to strengthen my practice and my inner peace. It’s to not to be too involved as an activist, wanting to do too many things in the world and in the Sangha based on an urge to act that comes from despair. At this point in time, it’s important for me to trust, to practice holding the suffering and to do one thing wholeheartedly, peacefully and powerful at a time. It’s also to be open to the beauty of love and nature surrounding us. Furthermore, I also want to look into how Christianity and the aspect of being socially engaged could be brought together. Alex: Although it sounded nice when I said that my aspiration was more collective than individual, there is also a strong individual drive within me that is what pulled me into this in the first place. I want to make sure that I’m whole-hearted in my answer, so I also have the aspiration to honor my name, to treasure the present moment and to find peace and solidity so that I can also be there for others.